Liverpool are believed to be preparing for life without Philippe Coutinho by eyeing up possible replacements for the Brazilian. The Reds are set to be approached with a third offer for the No.10 from Barcelona, who have already seen bids of £72million and £90million rejected. Shortly after a statement on Friday from the club’s Fenway Sports Group owners reiterating that Coutinho would not be sold at any price, the 25-year-old himself handed in a transfer request. This arrived not long after it had been reported the playmaker would not force a move away from Anfield this summer. 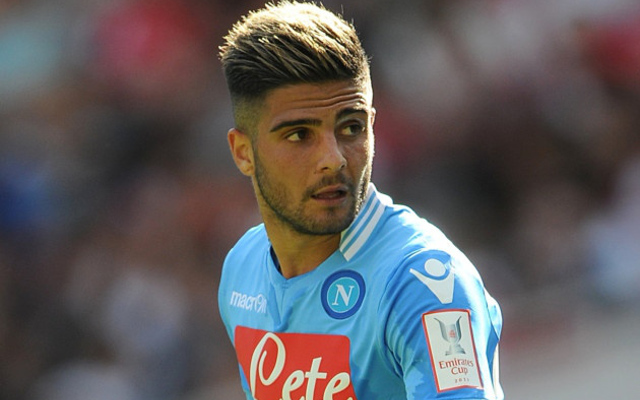 If the club does decide to sell Coutinho, Jurgen Klopp is keen on Napoli’s £60million-rated Lorenzo Insigne, according to the Mirror’s Steve Bates. The 26-year-old scored 20 goals in Serie A last season, but could be difficult to sign regardless of Liverpool’s spending power given his loyalty to his current employers. It has also been reported that Klopp would turn to 21-year-old German playmaker Max Meyer, if a move for Insigne were to fail. Both men have been dubbed long-term targets for the Reds boss, although he’ll undoubtedly be hoping he won’t have to pursue either of them over the next month. It remains to be seen whether FSG in any way budge from their stern insistence Coutinho will not be allowed to leave, with the prospect of an unhappy player in and around the squad always something for a club to fear. What was expected to be a statement-making transfer window has turned into a somewhat frustrating one.